Toronto Mayor John Tory wants Amazon to set up shop in the city. The U.S.-based digital retailer announced on Sept. 7 that it plans to open a second headquarters – dubbed “HQ2” – in North America, one that could employ up to 50,000 workers. 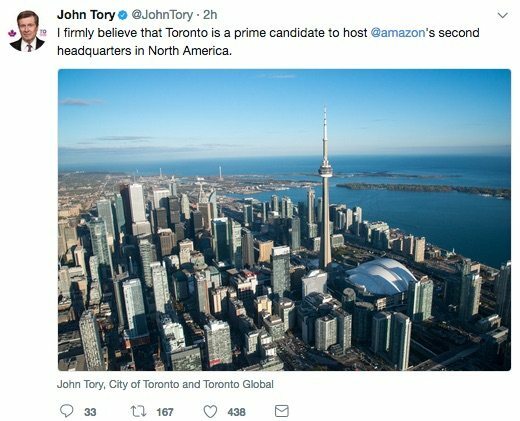 “I will be leading the charge to make the case that Amazon should call Toronto home,” Tory tweeted shortly after the announcement.